£12.95 More info & buy	Gran Envero 2014 possesses an beautifully enticing colour; a deep almost opaque ruby with a purple rim. 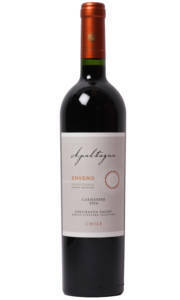 The nose leaps from the glass offering ripe blackberries, vanilla, tobacco, spice and sweet smoke. In the mouth this vintage seems to reach all corners of the palate effortlessly - there's beautifully sweet tannin that helps to taper the juicy rich mouth feel. The finish reveals a balance of smoke, spice and fruit. This immensely concentrated wine is incredibly impressive, and is even more of a pleasure to drink when paired with roast rib of beef.